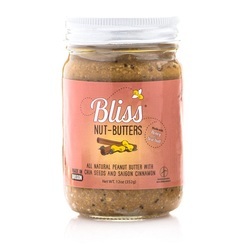 To create our Cinnamon Chia Seed Peanut Butter Bliss, we took our classic Peanut Butter Bliss, added chia seeds and saigon cinnamon. The result is a dynamic, rich and unique flavor with a warm spice. We find it irresistible. We hope you will too.